Geneva, Switzerland, 23 May 2018 – Today at the 71st World Health Assembly, the World Health Organization (WHO) launched the Business Case for WHO Immunization Activities on the African Continent 2018-2030, which outlines how WHO will support African Member States achieve universal immunization coverage. While Africa has made tremendous progress in improving access to immunization, most countries are off track to achieve the Global Vaccine Action Plan (GVAP) target of 90% national immunization coverage by 2020. Every year, more than 30 million children under-five fall sick due to vaccine-preventable diseases (VPDs), and of these, over half a million die, representing 58% of global deaths. VPDs also impose an economic burden of $13 billion every year – funding that could be used to fuel the economy and drive development. Data from the Business Case highlights that curbing four major vaccine-preventable diseases – measles, rubella, rotavirus and pneumococcal diseases – could save more than 1.9 million lives in Africa, avert 167 million VPD cases and generate $58 billion in economic benefits by 2030. The return on this investment has been estimated to be $37 for every dollar invested, with returns going up to $93 for measles elimination. To scale up progress against VPDs, the Business Case adopts a comprehensive approach to immunization, shifting focus from a disease-specific to an integrated, multi-sectoral life-course approach from infancy through to old age. In addition, the Business Case recognizes and addresses one of the toughest challenges to meeting immunization targets in Africa – a changing funding landscape. As Africa nears polio eradication, critical funding for immunization through the Global Polio Eradication Initiative is expected to ramp down and end. Additionally, as more countries in Africa approach middle-income status, they will transition away from Gavi, the Vaccine Alliance funding. As of 2018, Angola and Congo have transitioned from Gavi support and several other African countries will enter an accelerated transition process, after which they will be expected to finance 100% of the cost of their vaccines and other immunization costs. Models from the WHO Business Case indicate that if current vaccination efforts are not maintained, reversed progress could lead to more than 2.4 million deaths in Africa and a negative impact of $59 billion over the next decade. “The World Health Organization has played a critical role to ensure stead­fast support of countries' immunization programmes for 70 years. We are committed to continue to strengthen our support for years to come,” said Dr Jaouad Mahjour, Acting WHO Regional Director for the Eastern Mediterranean. “We know that business as usual will no longer work, which is why we have developed this business case to better understand how we can support Member States in strengthening national immunization programmes." To implement the Business Case, the WHO Regional Offices for the African and Eastern Mediterranean Regions have differentiated all African countries into four categories based on an immunization maturity grid. Going forward, WHO will provide targeted support to each group of countries to optimize resource management and increase impact. The four categories, which range from 1 (low maturity) to 4 (high maturity), were selected based on various immunization components such as vaccine financing, immunization service delivery and data analytics, among others. 21 African countries have been classified as having weak immunization systems (categories 1 and 2). Over time, WHO will decrease efforts and focus in countries as they move up the maturity scale, to ensure country ownership and sustainability. 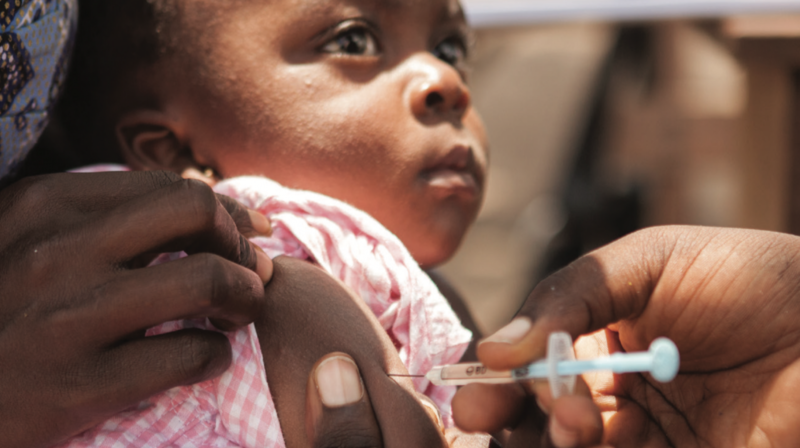 By 2030, WHO aims to bring all Afri­can countries to a satisfactory level of immunization maturity. However, to do this, WHO will need support from its partners to support countries move toward universal access to immunization on the continent.